(Clavo Huasca - Blanca) Dried Vine. Used almost exclusively by shamans to facilitate healing of others. Quality import from Peru. Comments - The Banisteriopsis vine is a Malpighiaceous jungle liana found throughout Amazonian Peru, Equador, Colombia, Bolivia, western Brazil, and in portions of the R'Orinoco basin. It is employed across the Amazon basin for the treatment of disease and to access to the visionary or mythological world that provides revelation, blessing, healing, and ontological security (Dobkin De rios 1972, Andritsky 1984). 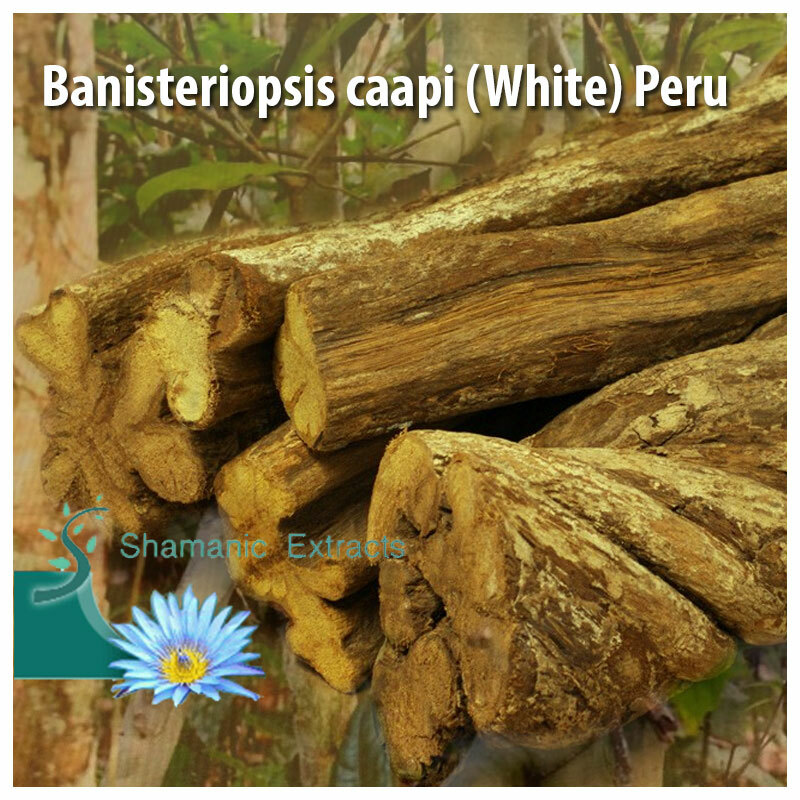 Banisteriopsis caapi constitutes the common base ingredient of Ayahuasca, where it is 'married' with other plants, such as Psychotria viridis (chacruna) or Diplopterys cabrerana (chagropanga, chaliponga, oco-yage). Banisteriopsis caapi contains beta-carbolines that exhibit sedative, hypnotic, entheogenic, anti-depressant and monoamine oxidase inhibiting activity (McKenna DJ, Callaway JC, Grob CS 1996). Furthermore, the tea constitutes a complex and diverse indigenous pharmacopia, with many other plants added depending on specific medicinal or spiritual intentions. These include Brugmansia suaveolens (Toe), Brunfelsia grandiflora (Chiric sanango), Tynnanthus panurensis (Clavohuasca), Cyperus (Piripiri), Petivaria alliacea (Mucura, Anamu), and Mansoa hymenaeamanilkara (ajos sacha) among many others. The use of Ayahuasca may well be primordial, its use extending back to the earliest aboriginal inhabitants of the region (Schultes and Hofman 1992). The oldest known object thought to relate to the use of ayahuasca is a ceremonial cup, hewn out of stone, with engraved ornamentation, which was found in the Pastaza culture of the Ecuadorean Amazon from 500 B.C. to 50 A.D (Naranjo, 1979, 1986). The patterning of traditional textiles, pottery and body art of various tribes can also be partially attributed to the visionary form constants of shamanic perceptions. The abundance of myths describing the origin of Ayahuasca as deeply intertwined cosmologically with the creation of the universe, earth, and tribal people, suggests a long history of human use. "The diverse indigenous groups all believe that the visionary vine is a vehicle which makes the primordial accessible to humanity." (Luna, 2000). Ayahuasca is the most revered and respected sacred medicine of the New World. 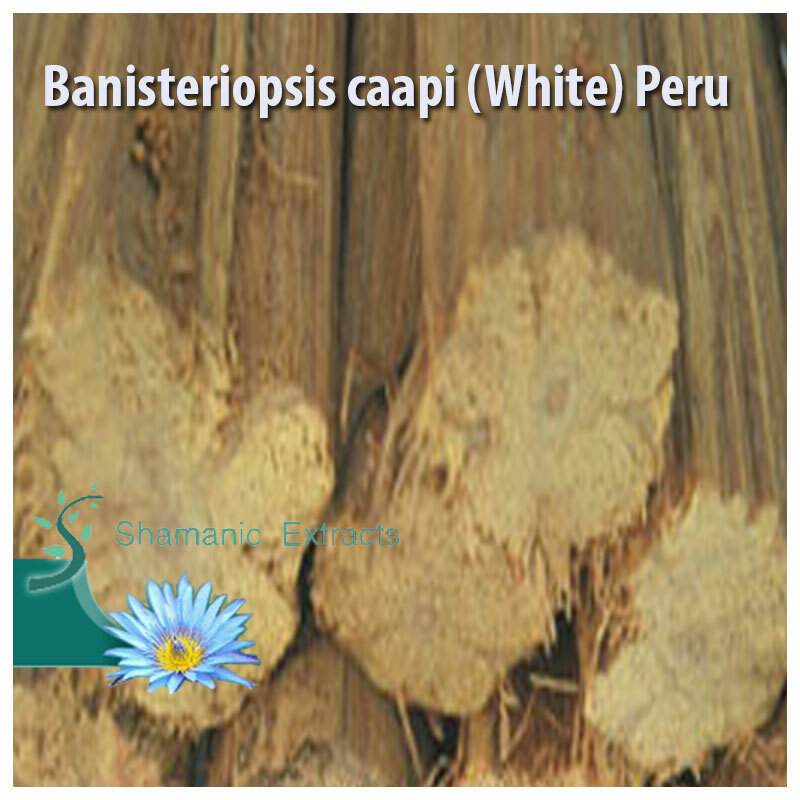 Share your experience about Banisteriopsis caapi (White) Peru with other customers. Submit your tips or thought on this product, be detailed and specific.